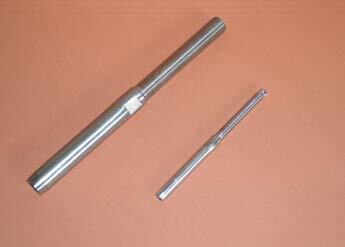 These are available to suit the pin diameters used on different yachts. These are available in several different designs to suit the backing plates fitted to the yacht’s mast(s). 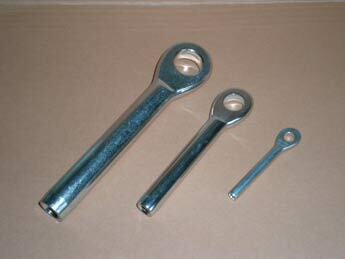 These are available with different pin diameters and different width of forks to suit the yacht’s fittings. 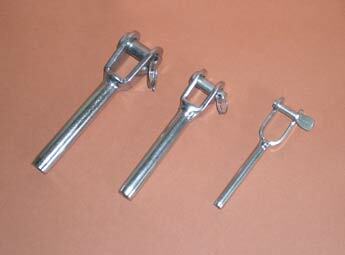 The fork terminals shown are the less expensive “welded” forks. 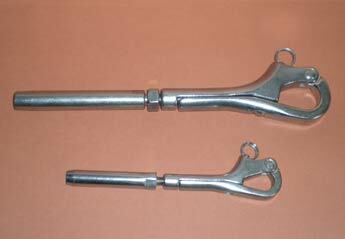 Better quality “machined” forks are also available. A wide selection of rigging screws is available, made from stainless steel, forged chrome bronze and galvanized steel, in open body and closed body. 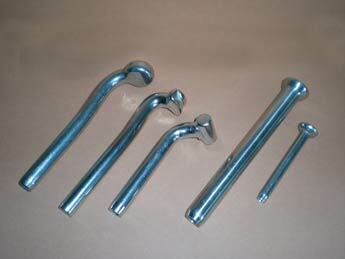 Rigging screws are supplied as fork & fork, fork & swage, fork & swageless, and fork & toggle. 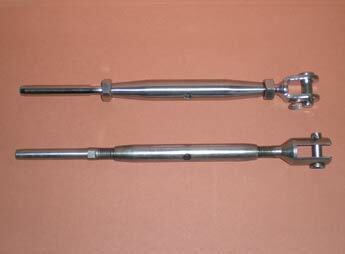 These are available with either metric or UNF threads, and either left hand or right hand threads, to enable the yacht’s existing rigging screws to be re-used. 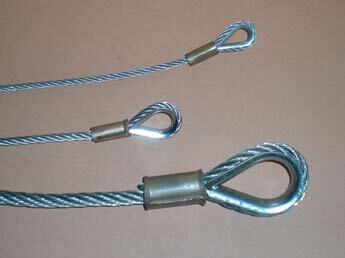 Talurit splicing can be carried out on most sizes and types of stainless steel and galvanized yacht rigging wire.